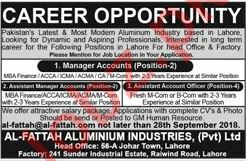 Manager Accounts, Assistant Manager Accounts and Assistant Account Officer required for Al Fattah Glass Industry Pvt Limited in Lahore. 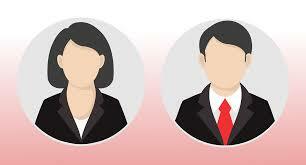 Candidates should have 2 years of experience in accounts field. You can apply online at vacancy after registering at http://www.jobz.pk site.